In 1845 the Know Nothing movement in the United States formed a national political party based in nativist sentiment. This “Native American Party” rested on populist fears of Irish immigration. The Irish, they argued, were streaming into the United States. The Know Nothings argued that these Irish were unwelcome labor competition, and that these new immigrants were bringing with them foreign values, specifically Catholicism, which were a threat to American values. 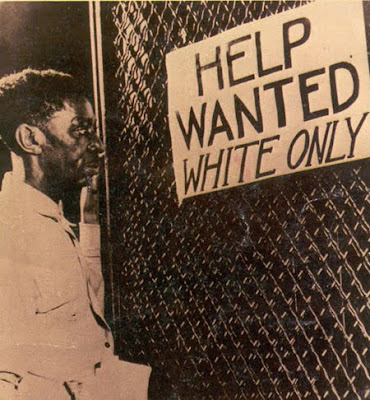 In 1964 the Civil Rights Act ended segregation in public accommodations. In 1890 the state of Wisconsin passed the Bennett Law and the state of Illinois passed the Edwards law. Both restricted the use of German-language instruction in the state’s classrooms. These were antagonist legislative acts meant to cripple the extensive German parochial school system in these states. Many believed German immigrants to be a threat to American values and political interests. In 1892 both laws were repealed. In 1942 the United States began the forcible internment of more than 100,000 Japanese nationals, more than half of whom were American citizens. The “War Relocation Camps” were justified as a protective measure for American interests in the wake of Pearl Harbor. In 1945 the internment camps were closed and in 1948 reparations were made to many of the survivors. In 2008 the United States of America elected its first black president. He is the son of a white woman from Kansas and a black man from Kenya. He was born in an American state with a sizeable Japanese-American population. He went to grade school in Indonesia. He chose a Catholic man as his running mate. In the general election he won Virginia, a state that was once the capital of the Confederacy. In 2009 he worked with Congress to craft legislation aimed at providing affordable health insurance coverage to all. While addressing a joint session of Congress he was called a liar by a Representative from South Carolina. Those who opposed his policies decried him as a socialist, a Nazi, a bigot and a murderer. They suggested that his ideas were dangerous and threatened the values of the United States.